To do good deeds one doesn’t have to go very far. Giving through small gestures can have a significant impact. As we give we are receiving. Through a uniting project named Learners Without Borders participants are both giving and receiving. In return for giving, participants are receiving a new and better view on life. 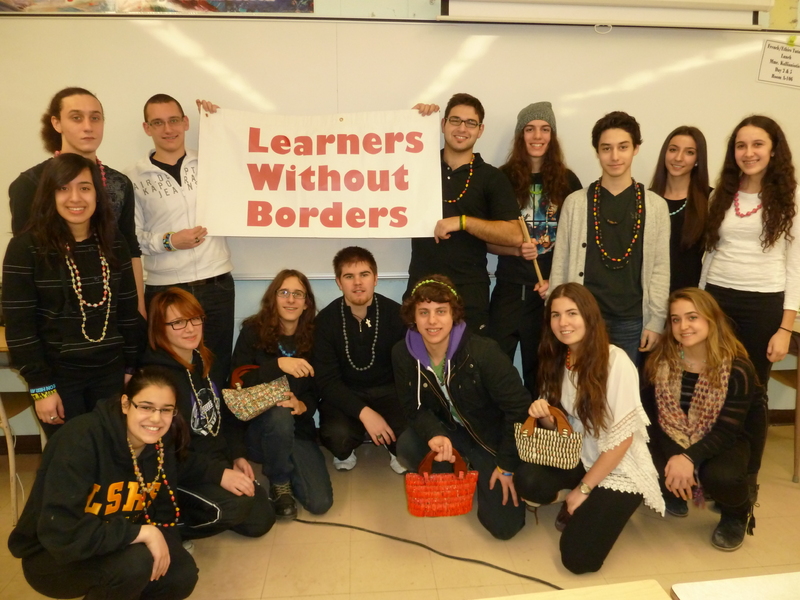 In 2009 Mrs. Angela Kallianiotis’s high school Social Studies classroom started an exceptional project named Learners Without Borders. Students were being taught about the challenges faced by African people, including lack of safe drinking water, no basic shelter and child abuse. 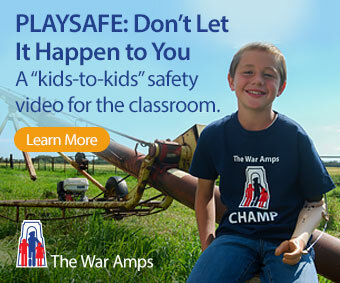 As the awareness grew, the students became more interested. Together the teacher and students felt a need to reach out and help these less fortunate people live a better life. The first step in this project was the creation of direct correspondence with a school in Uganda, Africa, named The Future Leaders School. Led by the students at Laurier Senior High School and Laval Liberty High School, students in Quebec had an opportunity to communicate with students across the world through letters, email and Skype. A relationship developed between the students as they shared their life experiences. Jessica and other members of the Learners Without Borders group at Laurier Senior High School. Immediately, Mrs. Kallianiotis and her students decided they were going to make a difference in the lives of the African people. The mission of the organization is based on a well-known proverb: “Give a man a fish and you have fed him for a day, teach a man to fish and you have fed him for a lifetime.” Learners Without Borders is designed to administer sustainable aid for the African people. Using basic materials like recycled paper, beads, recycled praying mats, wood, clay and cow bone, the African people create and produce the increasingly popular Kajjansi Jewelry. The town of Kajjansi was the first to undertake the production of jewelry, hence the name. They have since expanded the production and correspondence to Burkina Faso and Kenya. The finished product is couriered to Canada where students sell the jewelry. The profits are then used to pay the employees who created and produced the jewelry and to address specific needs that have been identified by students. Students like myself can play an important role in the development of this project by spreading awareness and educating society on the struggles of the African people. Learners Without Borders gives students opportunities to express themselves and their talent while spreading the word about the project. With a wide range of events from benefit concerts, pancake sales, oral presentations and contributions of personal talent, Learners Without Borders has a place for everyone. I have had the opportunity to help Learners Without Borders by participating in various events such as jewelry sales, creating presentations and speaking at several events on the subject. All of which have been very gratifying, especially since the teacher encourages us to work autonomously and creatively. An experience like my own allows students to develop important skills, provides networking opportunities and encourages them to be creative, while making a real difference in the lives of our less fortunate counterparts in Africa. This project empowers participants to be innovative and resourceful. This project proves that young people can make a difference. I encourage students in my community to help make a difference. Join us in our effort to bring change, by booking a presentation for your school or company or by buying our Kajjansi Jewelry online at www.learnerswithoutborders.com. Jessica Giambagno is a Secondary 5 student at Laurier Senior High School in Quebec and a participant in Learners Without Borders. The quotes in the article are from her teacher and founder of Learners Without Borders, Angela Kallianiotis.